Experience one of New Zealand’s most iconic adventure activities in some of the world greatest scenery. 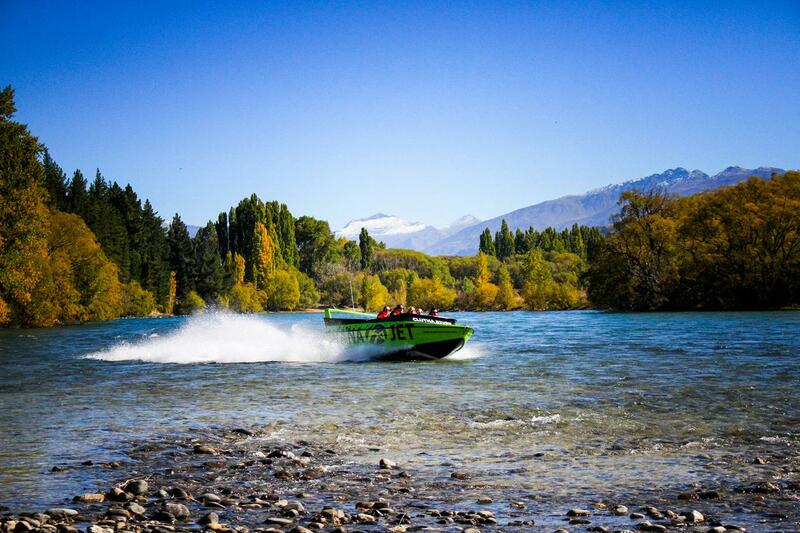 Marvel at the power and remarkable manoeuvrability of New Zealand’s famous jet boat. Ride with Wana Jet and experience the water like you never have before. Picture yourself skimming across shallow water, over sand bars, through rapids and around rocks at speeds in excess of 80kph, now picture doing this down New Zealand’s swiftest river with no seat belt and no brakes; that’s one way to get your adrenaline levels through the roof. Departing from Wanaka’s waterfront enjoy a short jaunt across the lake taking in unsurpassed snow-capped mountain views, as we prepare to enter one of the world’s swiftest flowing rivers, the Clutha River. The Clutha River is famous for its crystal clear fast flowing water showing off its large partially submerged boulders. Here your expert driver will raise your excitement demonstrating the manoeuvrability of the jet boat pushing it to its absolute limits; skilfully navigating through shallow water, tunnels and over giant pressure waves, speeding past trees mere inches from your face disappearing in your peripheral vision. Of course, a jet boat ride wouldn’t be complete without the iconic Hamilton Spin! A high-speed manoeuvre causing the boat to spin rapidly on the spot creating G forces you just can’t get enough of.